← The Journey to Casa Madera – The Guests Speak! 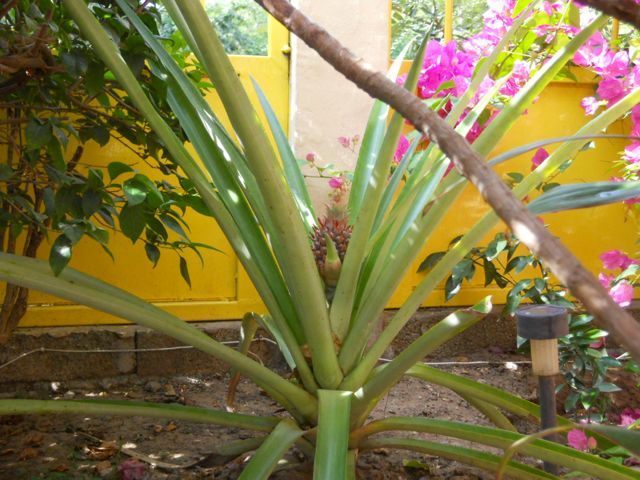 This entry was posted in Starting new life and tagged Bed and Breakfast, Fruit, Garden, Mexico, Nuevo Vallarta, Pineapple, Plant, Puerto Vallarta, Travel, Vacation, Watermelon. Bookmark the permalink. 2 Responses to The Journey to Casa Madera – A pineapple! We finally have a pineapple! Wow, that is quite an assembly of fruit. We are about the same latitude as you in Volcano, Hawaii, but at 3700 feet. We have a rainforest setting (see website), but many things won’t grow. Of all the Inns, Hotels, and Volcano Hawaii Lodging,we strive to have the most flowers and fruits, and to be the very best value.